With each version of iOS, Mail gets better. For example, iOS 7 Mail added new special-mailbox views, a revamped search system, additional Undo actions, and more. But the more we use mobile Mail—and we use it a lot—the more we notice its shortcomings, major or minor. Now that WWDC and a likely iOS 8 announcement are just around the corner, we’re compiling lists (with the help of our Twitter followers) of our biggest frustrations with, and feature requests for, iOS. In this installment, we tackle Mail. When we surveyed Twitter for iOS Mail wishes, the top vote getter merely confirmed one of our own biggest mobile-Mail desires: more-capable attachment handling. We don’t mean how Mail deals with attachments you receive. We’re talking about how you get attachments into outgoing messages. iOS 6 added a feature for more-easily adding images stored in the Photos app, but if you’re looking to send some other type of data, or even images from another app, your options are limited. Specially, you have to hope that the app hosting that data or document offers its own feature for sending via email. And even then, this approach works only for new messages—what if you want to send a document in a reply? Tough luck. In iOS 7, you can attach images and videos from within Mail (left). For everything else, you must rely on individual apps to support emailing files (right). Unfortunately, this isn’t just a Mail issue. iOS as a whole offers only limited support for working with data and documents between apps, and it offers no shared storage for, for example, documents you might need to work with in more than one app. We don’t expect Apple to embrace a fully exposed, desktop-style filesystem on iOS, but it needs much better features for attaching files to email messages, wherever those files may reside. And while we’re talking about attachments, another useful feature would be a way to delete attachments so they don’t take up space on your device. Even better, if a message is stored on the server, Mail should let you delete the local copy of the attachment without removing it from the original message on the server. Similarly, once a message with a large attachment is successfully sent, Mail should remove the attached file from the local copy of the message, so you don’t have an extra copy in your Sent folder. The second-most popular response we received was also one of our own desires: bringing smart mailboxes and rules to iOS. Smart mailboxes are one of our favorite features of OS X Mail. Essentially saved message searches, smart mailboxes let you quickly see, for example, all the flagged messages in your work folder, or all the unread messages from family members. iOS 7 introduced several smart mailbox-like views—all unread, all sent, inbox messages with attachments—but we’d like to be able to create our own smart mailboxes with whatever criteria we want. Even better, we’d like to be able to sync particular smart mailboxes with OS X Mail. As for rules, many email services, including iCloud, Gmail, and Exchange, let you create server-side rules to process mail before it even gets to your device. But it would be great if you could create local rules—including auto-reply options—on your iOS device, and possibly sync those rules with (and automatically grab new rules from) desktop Mail. At the very least, we’d love to be to edit server-side rules from our iPhones and iPads. OS X Mail offers a decent junk-mail filter, and you can easily add a more-advanced third-party solution. But on your iPhone or iPad, you’re essentially unarmed: Unless your desktop computer is on and processing mail all the time, or your email provider offers filtering on the server, junk mail arrives unfettered on iOS. We—and many other people, if reader feedback is any indication—would like to see on-device junk/spam filtering. It doesn’t have to be as good as, say, SpamSieve, and maybe it simply moves suspected junk mail to a folder that you can peruse at your leisure. But anything that cuts down on the number of unsolicited commercial messages we see in our inboxes would be welcome. It’s been seven years since iOS debuted, and we still don’t have working address groups in Mail. Sure, you can create and use address groups in your desktop email client of choice; OS X Mail groups even sync to your iOS devices—but only as a way to more easily browse contacts. You can’t use a group as a message recipient, and there’s no way to quickly send to the members of a group. And, of course, there’s no way to create or edit groups on your iOS device. Those of us who need to send to groups have resorted to elaborate workarounds, such as setting up auto-forward rules on other email services, or even always having a draft, addressed to a group, saved in our Drafts folder in case we need to send to that group from iOS. Address groups is a no-brainer feature that iOS should have had in the 2000s, folks. We’ve had pretty good luck using Gmail with iOS Mail (better than with, ahem, OS X Mail), but apparently not everyone has been as fortunate. Apart from the usual, and long-standing, wish that Gmail behaved as true IMAP, many people still have trouble with iOS 7 Mail not retrieving new Gmail messages without a significant delay. Others report problems with the way mobile Mail handles Gmail subfolders. So consider this a general request for iOS 8 Mail to be better at dealing with the hot mess that is Gmail. Similarly, not all Exchange users have been happy with iOS 7 Mail. Many still see delays in receiving new mail, and we’ve heard many complaints about Mail being unable to properly handle attachments sent from Outlook (which often show up as Winmail.dat). Another popular request is for iOS 7 Mail to support Exchange categories for organizing and processing email messages. So here’s hoping iOS 8 enhances its support for Exchange email and Outlook attachments. These options, buried deep in the Settings app, look simple. They’re anything but. 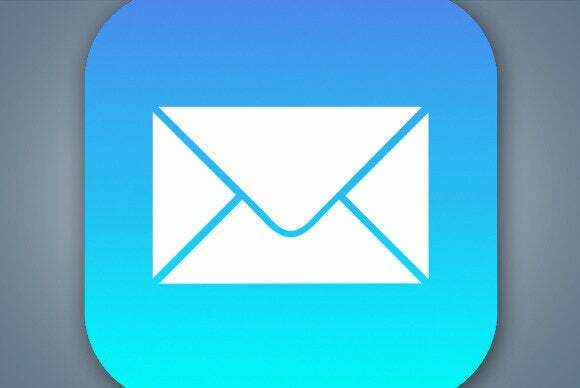 We suspect that Apple will fix the Mail attachment vulnerability well before iOS 8 hits the streets, but there are other things the company could do to increase email security. A number of Macworld readers have told us that they’re hoping to see Apple encrypt all locally stored attachments. They’d also like better support for password-protected PDF documents in Mail—apparently, sometimes Mail doesn’t even prompt you to enter a password when viewing such a document. We’d also love to see better (and easier) options for encrypting and signing email messages. Senior Contributor Joe Kissell dedicates an entire chapter in his Take Control of Apple Mail to the topic of email security, but setting up your iOS device to allow you to encrypt messages is not a simple process. This seems like a perfect area for Apple to work its ease-of-use magic. I know the desired message had “speaker” in the subject, but I can’t narrow my search. Apple revamped iOS Mail’s search feature in iOS 7, and the result is better than iOS 6 in some ways, but worse in others. For starters, we’d like to bring back iOS 6’s capability for searching only specific parts of messages—for example, sender, subject, or body. Sometimes searching everything works fine, but if you’ve got a lot of mail, refining your searches often makes it easy to quickly find what you need. We’d also like search to work more reliably when searching messages on your mail server—often Mail just churns and churns and never finds the message that you know is there. For many (most?) people, iOS Mail’s message-management features may be sufficient. But for those of us who handle lots of email on the go, there are a few simple options Apple could add that would make our mail-triage tasks easier. By far, the most frequent email-management plea we’ve heard from readers is for a way to select all items in a mailbox or list—to make it easier to move or delete those items. As with address groups, it’s a little bit crazy that iOS Mail doesn’t yet have this feature. I can mark all messages in a mailbox as read/unread, or I can flag them all, but I can’t select them all to move or delete in one fell swoop. Another common request is for iOS Mail to catch up with OS X Mail when it comes to message flags. On the Mac, you can flag a message using one of seven different flag colors—for example, you might use red for messages that need immediate attention, and blue for messages requiring further research before you can reply. But in iOS Mail, you get one flag: orange (which, oddly enough, syncs to OS X Mail as a red flag). If you apply other-color flags on your Mac, those flags sync to your iPhone or iPad as orange flags. With iOS 8, we’d like iOS Mail support and sync the same rainbow of flags as OS X. Now that iOS Mail has both a unified inbox and several other unified mailboxes (Unread, VIPs, Flagged, Attachments, All Drafts, All Sent, All Trash, and To or CC), we’d also like to be able to see, at a glance, which account hosts a particular message. For example, Mail could use a small, colored circle or line, the way the Calendar app shows which calendar hosts each event. Another annoying issue is that Mail in iOS 7 doesn’t quite know what to do with text enclosed in HTML <pre> tags. Specifically, Mail doesn’t wrap the text, so you must scroll (and scroll, and scroll, and scroll) to see everything. We hope iOS 8 fixes this. Finally, though Mail in iOS 7 has, overall, worked pretty well for us, we know some people haven’t been so lucky. As one Twitter commenter wrote, “I just want it to work properly, hope that’s not asking too much.” So along with the aforementioned desires to make Mail more compatible with Exchange and Gmail, you can add “Clean it up and give it a good polish” to our list. We also have a few feature requests that don’t fit neatly into the categories above. For example, we’d appreciate the capability to create and use email stationary—or at least to save templates for frequently sent messages. If you’d rather use another email client, it would be nice if you could set that app as the default for email. Those of us who often use an external keyboard with our iOS devices are hoping Mail in iOS 8 adds a good number of keyboard shortcuts. In iOS 7, Safari gained a number of such shortcuts, including ones for opening a new tab, selecting the URL in the address bar, closing or refreshing the current tab, switching among tabs, and more, so it’s not unreasonable to think Apple might give Mail similar treatment in iOS 8. Some mail services, including Exchange, support read receipts and delivery confirmations. When using one of these services, it would be nice if iOS Mail let you take advantage of these features. Of course, if you still don’t like Mail in iOS 8, you can choose to instead use a third-party email app. In that case, your #1 feature request will be for Apple to—finally—let you set that third-party app as your default email client, so that common email actions, systemwide, will use that app.